Does age matter at a Grand Slam? IBM breaks down the oldest and youngest on the ATP and WTA tours and in the top 20 to see if experiences plays a role in a high ranking in tennis. Do age—and experience—matter at a Grand Slam? 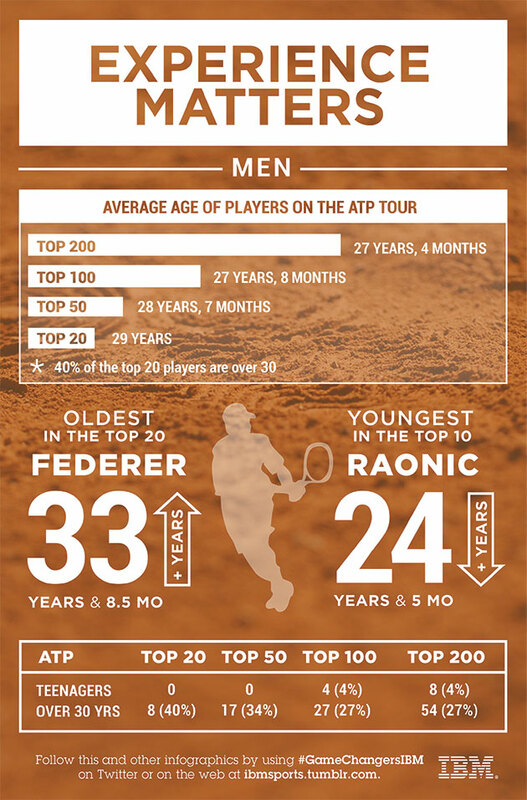 Breaking down the ATP and WTA tours, the majority of players in the top 20 are over 30 years old. On the men's side, Roger Federer is the oldest in the top 10 while Milos Raonic comes in at the youngest. 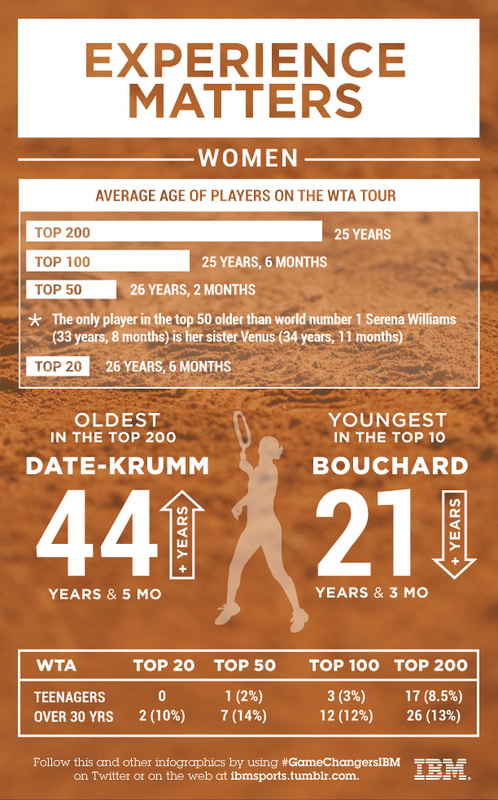 On the women's side, Date-Krumm is the oldest in the top 200 while Eugenie Bouchard is the youngest in the top 10.